Hi, I’m back! 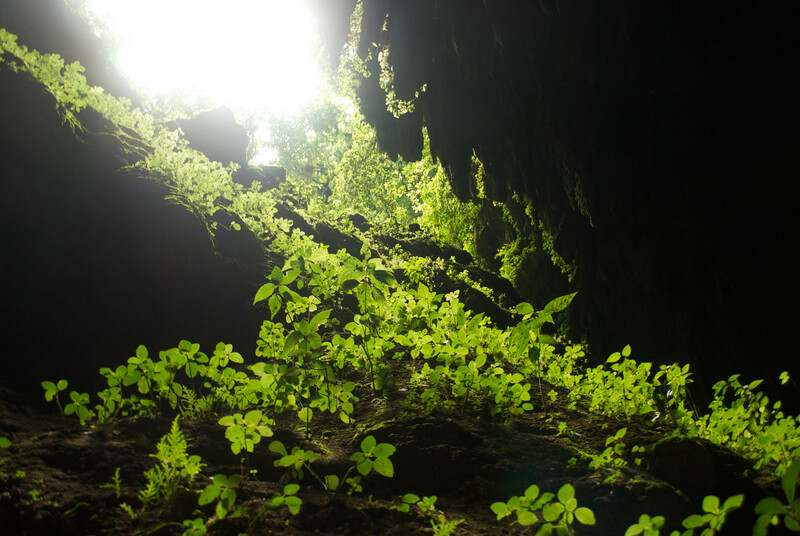 In this post, I am going to share some photos with short descriptions about my trip to Puerto Rico. I have to admit that it’s a bit too late already. I just have been really busy this semester and have not yet had the time to write about it. The trip was extremely fun! 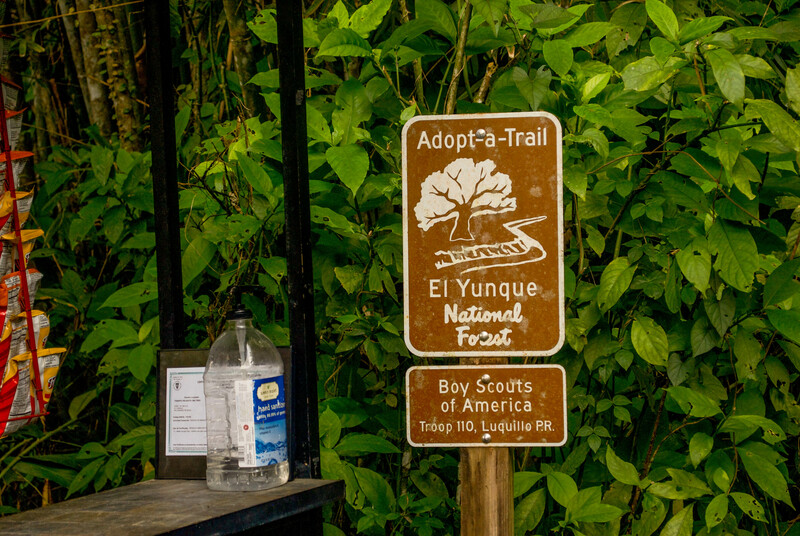 I went there for spring break with three other people, my fellow Brunonians–Filip, Indira, and Nomin. We definitely had a great time. So here it goes. I mean, look at those piles of snow! Note that it was the last week of March, too. I can confidently say that we made a wise choice to pick Puerto Rico as our spring break destination. After we arrived, which was pretty late at night, we went straight to our hotel in Old San Juan and spent an hour or so exploring the neighborhood. The day was mostly spent on logistical stuff. We checked out of our hotel early in the morning and headed immediately to the car rental to pick up our car. Then we drove to our hotel in Guanica. Well, it was only Indira who drove for the entire time we rented the car, thank you Indira! We were blasting music, some of which will remain memorable for sure, and trying not to get lost. We also met with Natalia–who is from Puerto Rico–and Karen–who stayed over at Natalia’s house during the break. We were initially planning to go to Gilligan’s Island, but we missed the last ferry, oh well. Instead, we went to one of the nearby beaches, which was just as fun! 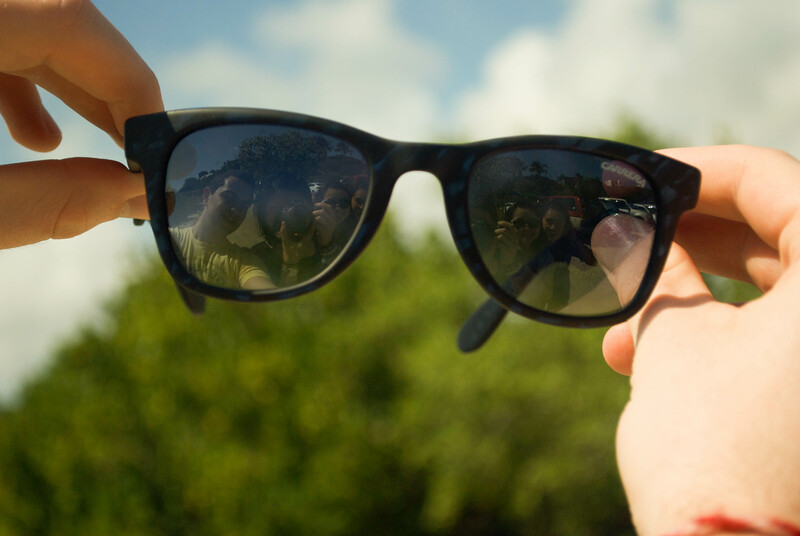 The crew as seen from Filip’s sunglasses. From left to right: Filip, me, Nomin, Indira. We took this picture while waiting for Natalia and Karen, two good friends of ours who also go to Brown, whom we spent a few days with. 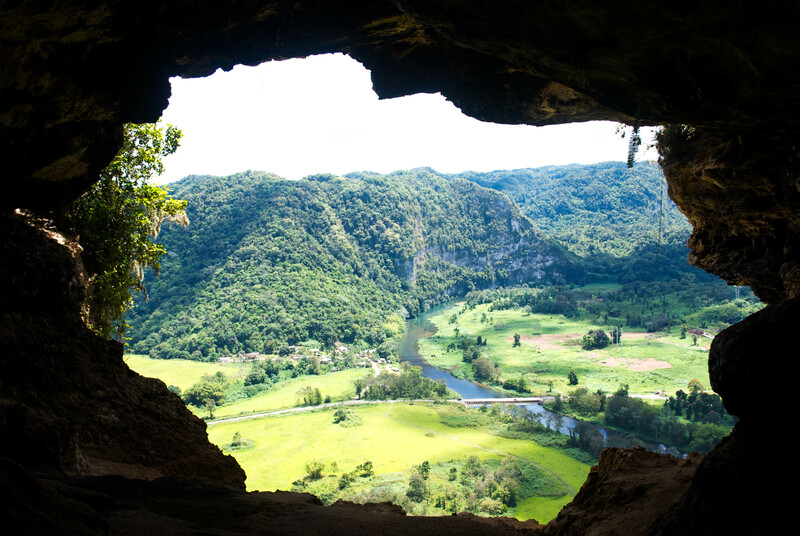 The view from Cueva Ventana, or “Cave Window” in English. I would say that the view was even better in real life, considering my mediocre photography ability. This trip was the first time I used my camera that I brought back with me when I went home last winter break. It was a Nikon D60 my dad bought when we went on a family vacation in 2008. It’s a pretty old camera, but I’m happy enough with it! Pictured above is Arecibo radio telescope in all its glory. I remember we were talking about how cool it would be if we were allowed to walk on the bridge-like walkway (can be seen on top right of the picture). It lasted for two seconds, before we decided it was pretty much impossible to do so. It was raining lightly when we arrived, but fortunately, it stopped after a while. 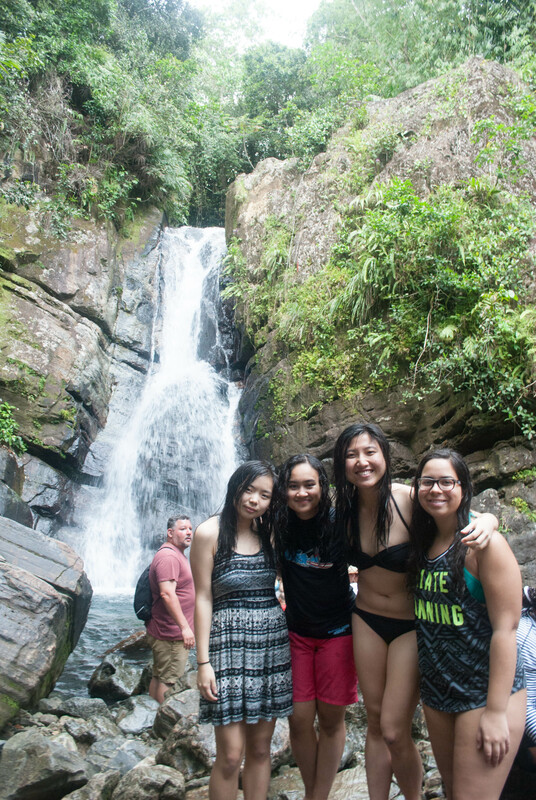 We were walking through a trail and swimming by the waterfall. We also bumped into a couple of fellow Brown students! We went to the ferry port in Fajardo at 9 AM, and it was already packed with so many people. Luckily, we still managed to take the 10 AM ferry. 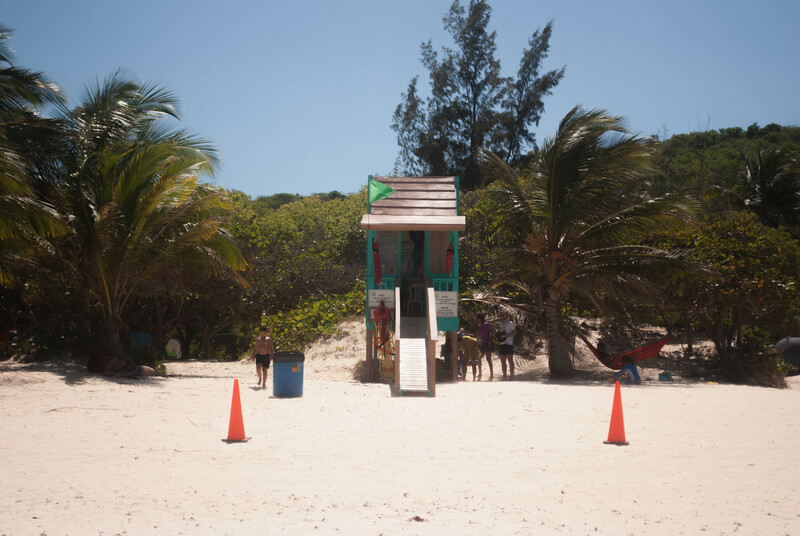 We went straight to Flamenco Beach, and we were very excited to see that there were only few people there! We spent an entire day at the beach: sipping Piña Colada, gulping down one of the tastiest mango smoothies I have ever tasted, munching on $1 snacks, taking a walk by the beach, taking pictures with actual tanks, and simply having a good time. 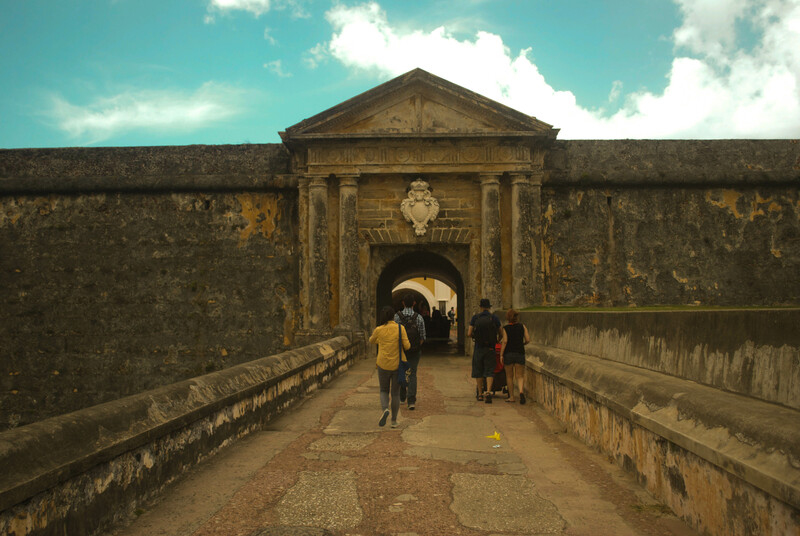 We spent a day and a half exploring San Juan. 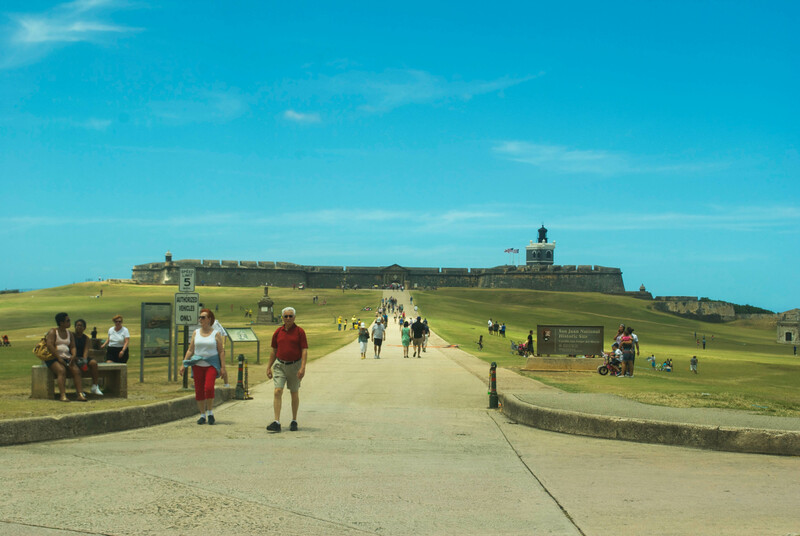 We went to two well-known historical sites: Fort San Cristóbal and Fort Felipe del Morro. It was interesting to walk around the dungeons and look at the city of Old San Juan from the fort. We spent so much time walking around, which was enjoyable yet tiring at the same time. While walking, I especially liked staring at the buildings painted with bright colors, and a fair number of them having a balcony overlooking the alleys. Aaaand, we flew back to Browntown! Even the journey back was interesting. We had more than 10 hours of layover in Philadelphia. We asked the airport staff for some goodie bags for travelers who spend the night there. Each of us ended up getting a pillow, a blanket, and a bag of toiletries. We claimed one of the gates as our temporary shelter. I spent the next couple of hours trying to work on my homework due right after the break, and have some rest while the TV was playing the same commercials over and over again, for the rest of the night. When the next morning came, I remembered some of them quite well! And that’s the end of the story. The memories, however, will definitely remain. Keywords: Baking soda, diva, Burger King, Bailando, John.